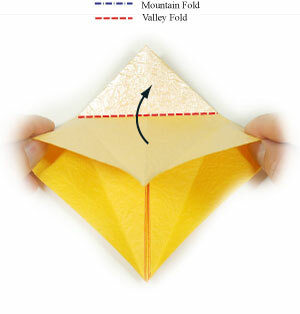 Start applying the horizontal valley-fold of the step #16. Continue applying the horizontal valley-fold of the step #16. 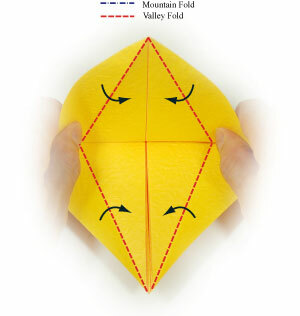 In the following steps, You will be applying four valley-folds without realizing what you are doing.